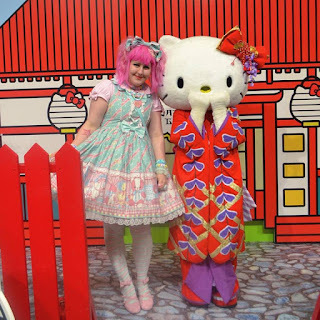 I wore my Melody Toys dress to ComicCon Stockholm a while back. 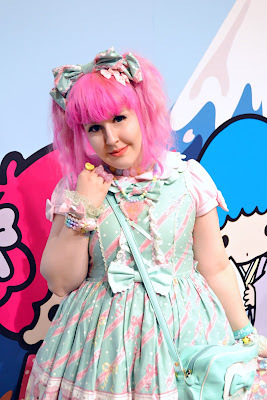 I really love this dress! It was a simple and comfy outfit. The convention was pretty boring sadly. I really like having pink hair again, fun with something new. The outfit is all Angelic Pretty expect for my handmade necklace and some other small accessories. 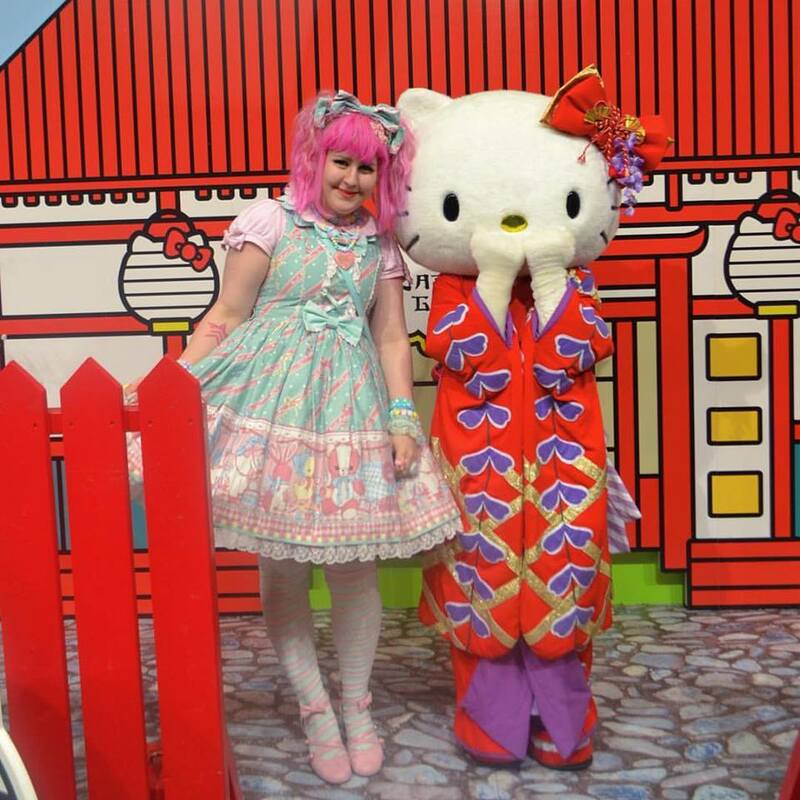 At least I got to meet the real Hello Kitty again, so that's something at least! Hope you like my outfit.